Tweeter: 25mm soft dome, 25mm high-temperature voice coil in a reservoir of Ferro-fluid and driven by a high quality neodymium magnet system. Bass/Midrange: x2 150mm (300mm) of piston area made from a polypropylene cone with a 25mm high-temperature voice coil and large magnet system. Crossover: Tweeter = 1st order crossover feeds the tweeter and comprises of a 2.2uF high quality Polypropylene capacitor and metal oxide resistor.Mid/Bass = 2nd order low-pass filter, featuring a large iron-core inductor and high quality Polypropylene capacitor.The K2’s crossover can be configured in either single or bi-wire configuration, via large 4mm terminal posts. Grille: Optional snap on Grille can be added. 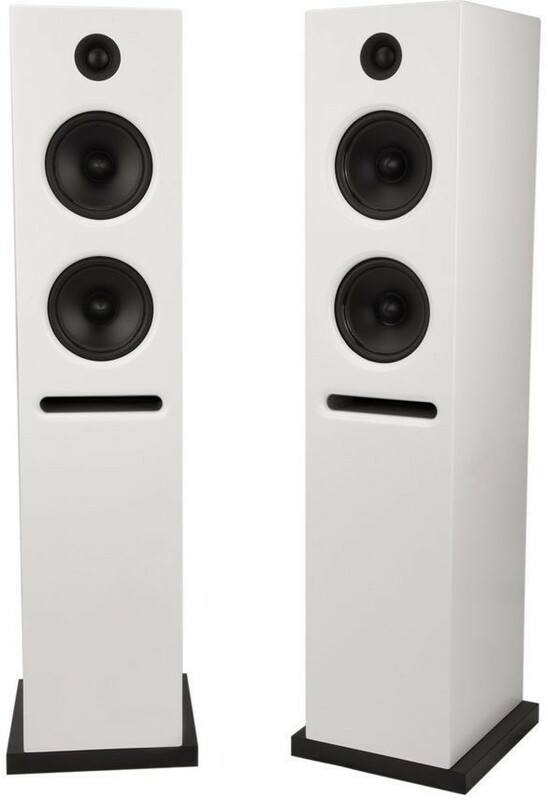 The K2 is the largest floorstander from Epos, and are a truly unique concept, marking the beginning of a new era for Epos, and perhaps loudspeakers in general. The K series features an unusual front firing slot port, rear mounted drivers and painted cabinet finishes. Uniquely, designed into the K-Series is a latent upgrade path that allows it to be converted from a passive to a sophisticated ‘active digital’ product, using an optional Active-K module. 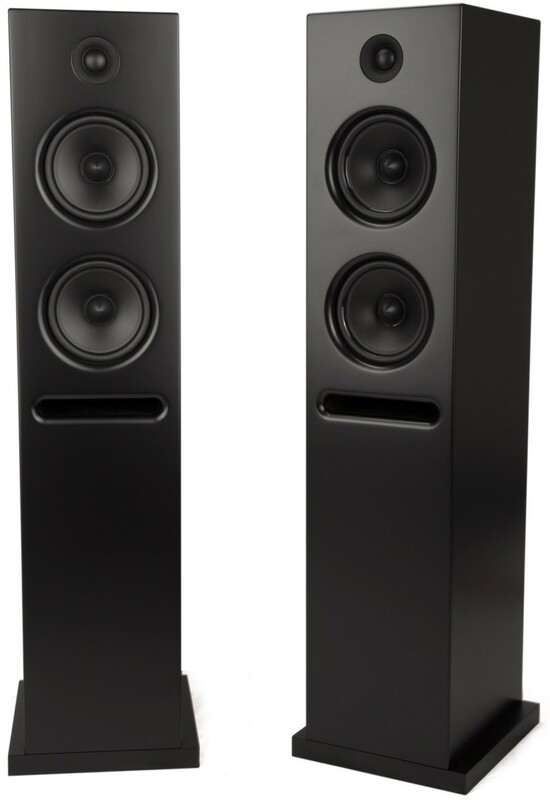 Active-K allows the K2 to be at the heart of a 21st century ‘Hi-Resolution’ audio system. The K-Series is much more than just another box loudspeaker, it paves the way to the future of Hi-Fi! The all new K-Series painted MDF cabinet design includes some very clever internal bracing to minimise cabinet coloration. The K-Series sees the introduction of new reflex front firing slot port technology, designed for two special reasons. Firstly, it allows high volumes of air to pass without any nasty audible chuffing noises, unlike most conventional round tube ports. Secondly, the slot port has enabled Epos to improve the low frequency performance from such a relatively small driver area. The K-Series is available in two elegant finishes: silk White or Black. 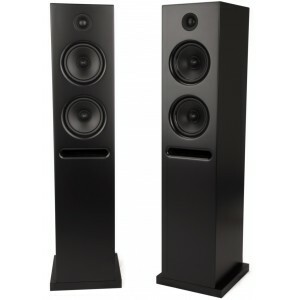 Both finish options offer a wonderfully luxurious look and feel to these loudspeakers. For those times when the attractive front needs to be protected or hidden, an optional magnetic grille can be easily fitted. Just place it close to the front and it will automatically snap-into place, protecting the delicate drivers from little fingers or paws. Using virtual performance CAD design simulation tools, Epos has achieved very high technical performance and a clean, open, yet smooth sound quality from this tweeter. The tweeter has a low resonant frequency, high sensitivity and extended high frequency response. With a 25mm fabric-dome, short horn, high-temperature ferro-fluid cooled voice-coil and neodymium magnet, it is capable of playing at high output levels for extended periods without degradation to its sound quality. The Epos K2 mid-bass drivers produces an even frequency response and smooth roll-off. The Epos 156mm mid-bass driver has a high-quality polypropylene cone and a bullet-shaped dust cap. These components form a stiff, yet pliable, well-damped structure which retains its shape even under high power loading. The K2 mid-bass driver also benefits from a bucking-magnet system, ensuring all the magnetic force is concentrated around the voice-coil, allowing for low distortion and high efficiency. In true Epos tradition; the K series has reverted to a more simplistic passive crossover topology, for which the brand is synonymous. A first order crossover is used to allow the Epos tweeter to have a wide dynamic range with super low distortion. The mid-bass crossover uses a 2nd order filter ensuring the K2 is an easy load for any amplifier. Coming soon… The Active-K module sets this range of loudspeakers apart from the rest of the field. Either from new or as an upgrade path, the Active-K module replaces the rear panel of the K2 providing you with a number of benefits. Built-in to the Active-K module is a Creek Audio-designed power amplifier. A high quality multi-input DAC, Asynchronous USB and Bluetooth receiver provide your digital inputs. The Active-K will also include an analogue input for those who wish to use a turntable or other form of analogue source. The Active-K replaces the lossy passive crossover with an active version, allowing superior driver integration and even wider dynamic range, thanks to the use of EQ (equalisation) below the port resonance. The Active-K module allows inputs to be selected and the volume adjusted via a handheld remote handset. With intuitive control defaults, the Active-K is easy to operate despite not having a display.